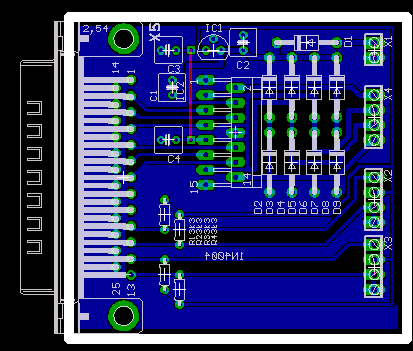 I didn't originally include the eagle-format schematic and board for this project. Well, here it is. 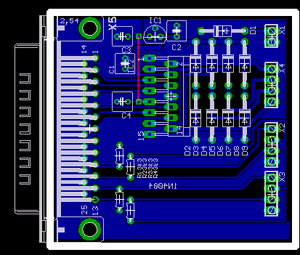 I suggest revising this board to use separate Vdrive and Vcc power inputs if Vdrive is above 12V. 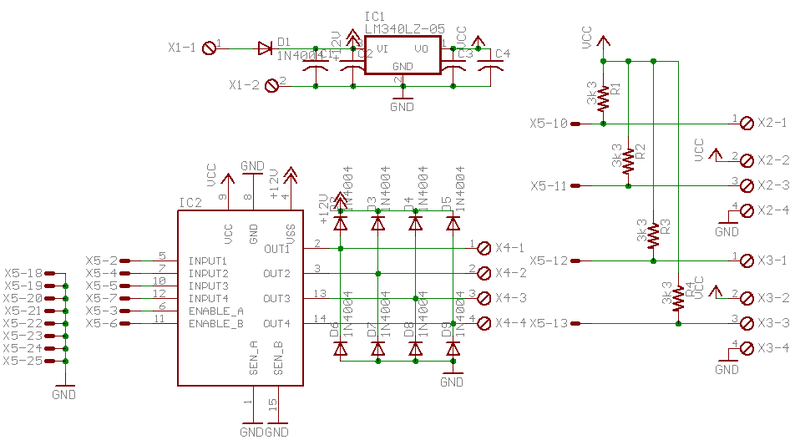 Another approach might be to switch to a TO-220 regulator—as I noted in the other entry, the TO-92 gets quite hot if you try to run it on 24V. 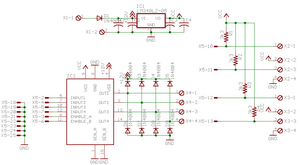 My first guess is that the logic draws up to 100mA, depending on the encoders. It would also be a good idea to ensure the capacitors are appropriate to the task.